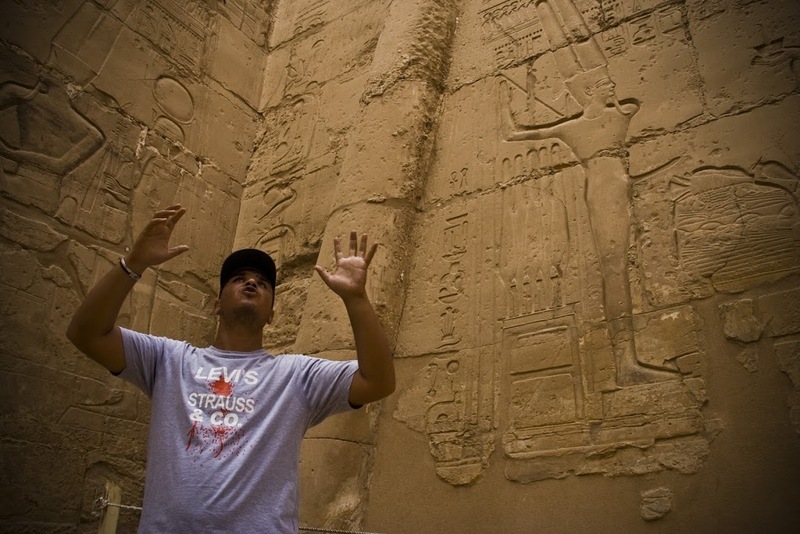 Mohamed giving one of his enthusiastic talks about the hieroglyphics at Karnak Temple. This Temple had to be relocated piece by piece in the 60s when the Nile dam was built; which created the largest man-made lake in the world. 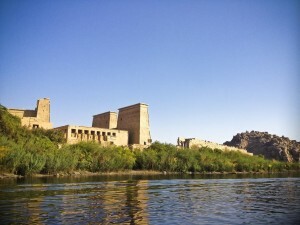 Nubia, including the former site of Philae, is somewhere at the bottom of that lake – along with 200,000 crocodiles. Luckily, we arrive by boat rather than testing the waters! 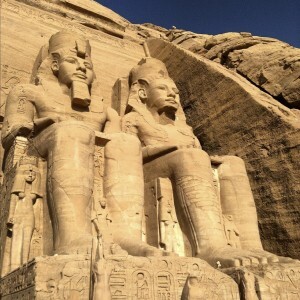 I’d highly recommend opting in for the optional Abu Simbel trip. It involves a wake-up call at a rather obscene hour of the night, but when you get there you’ll understand why I twisted your arm. Don’t panic if you pick up a guard with a machine gun on the way – he’s on your side. 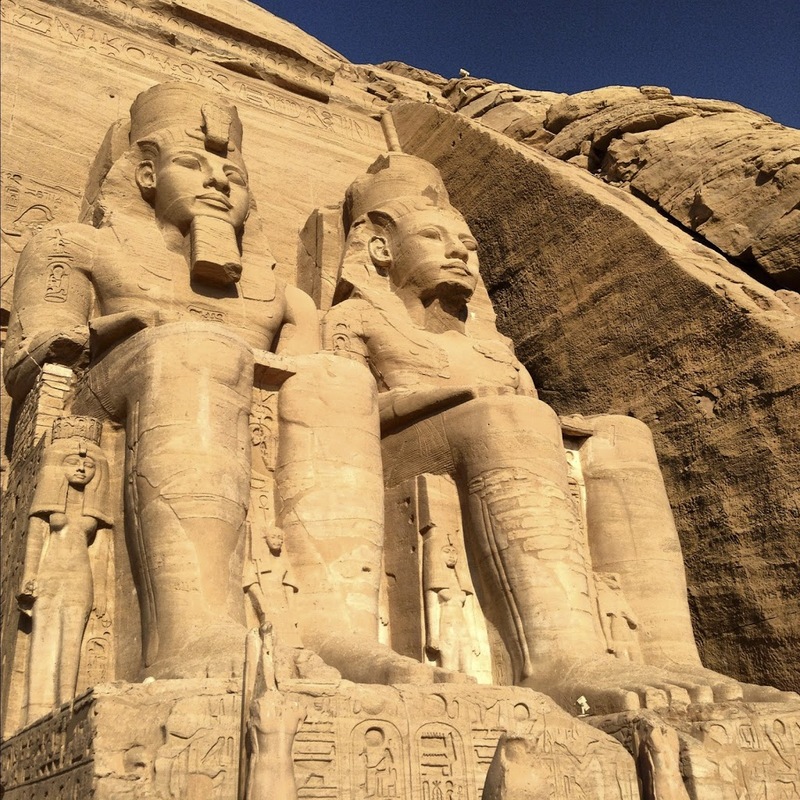 You’ll be driving three hours south just near the Sudanese border to see these massive statues of Rameses II at the entrance to what many call the greatest temple in the land of temples. 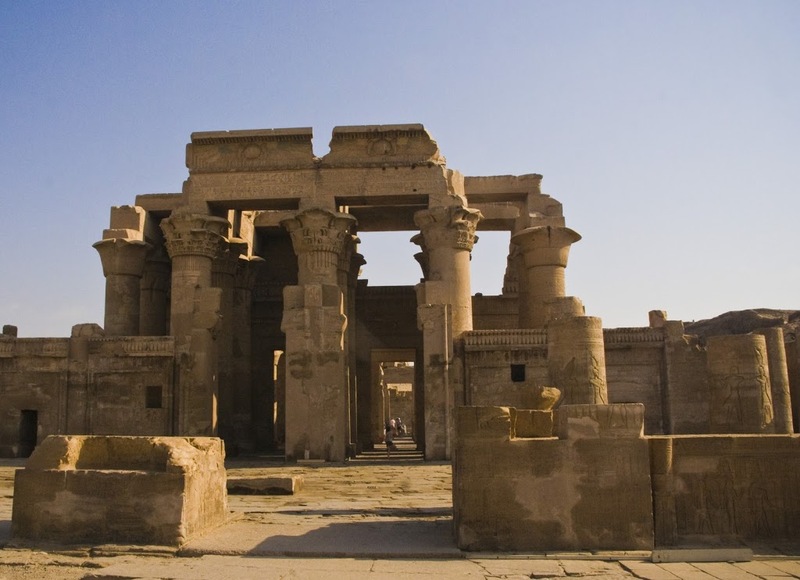 The felucca trip conveniently concludes in Kom Ombo. The temple here is interesting because it’s dedicated to two gods – Sobek; the crocodile god, and Horus; the falcon god. This means that large portions of the temple are duplicated to honour both gods. My favourite part, though, is underneath: a crocodile museum! If you’ve ever wondered what a 3,000 year old mummified crocodile (or 10) looks like after it’s unwrapped, look no further! Praying should be a huge release, that’s what the Ancient Egyptians believed. 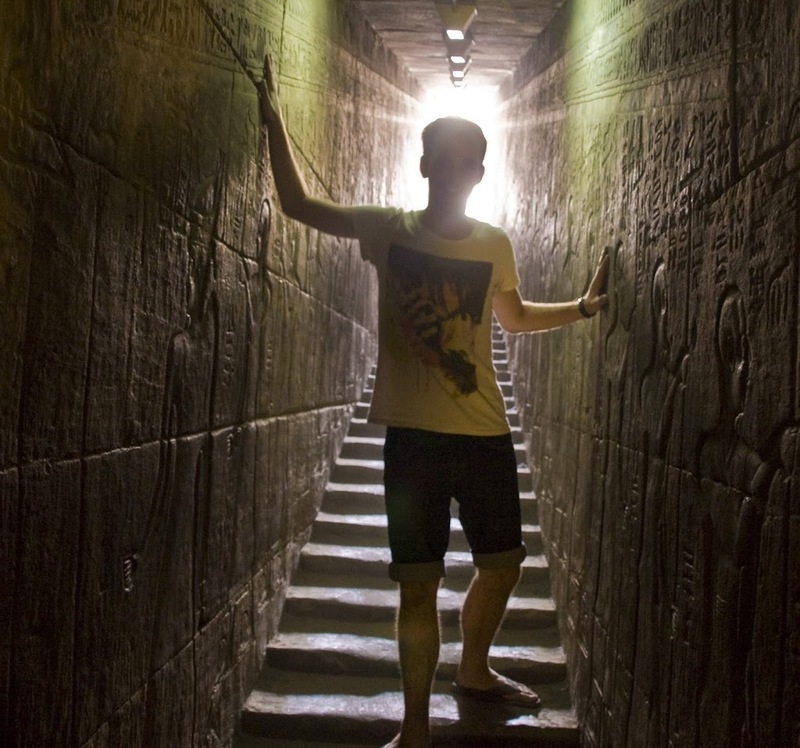 So at Edfu, there’s a tiny spiral staircase for ascending to pray, and a comfy wide straight one for those coming back down afterwards – so they can feel free of their burdens. Plus, if you stand right there you look like a ghost. We visited Luxor temple by night, offering an interesting contrast with the others – particularly because it was prayer time at the on-site mosque and the prayers rang out over the temple the whole time we were there. 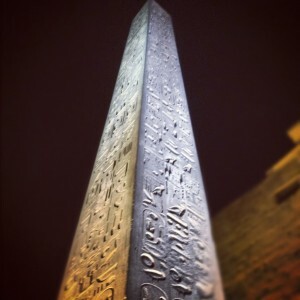 If the obelisk here looks familiar to you, it’s because its twin was gifted to France over a hundred years ago, and now stands at Place de la Concorde near the Louvre in Paris. 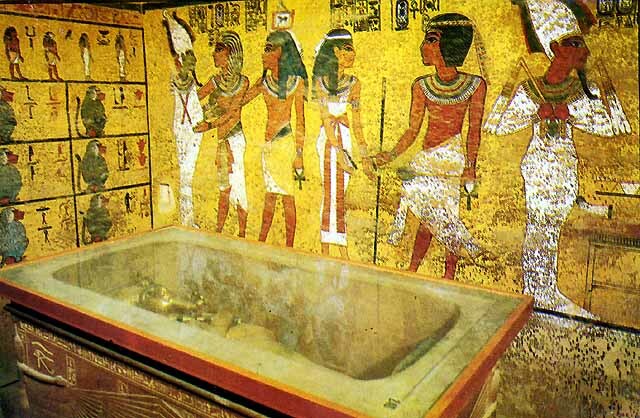 The entry fee to the Valley of the King’s covers any three open tombs except Tutankhamen’s and Rameses VI’s. Only a handful of us paid the extra to see Tutakhamen’s legendary tomb (the price was exorbitant and we were warned that it was small and anticlimactic), but I would highly recommend it. The tomb may not be large, but its drawings are more perfectly preserved than any others we encountered in Egypt. By now, Mohamed’s explanations had started to sink in, and we were able to work out the story ourselves. Plus, it was fascinating to imaging King Tut’s treasures in the space when Howard Carter discovered them in 1922, having seen them ourselves only a few days earlier at the Egyptian Museum. The temple of Egypt’s most powerful female pharaoh is a sight to behold. It resembles the ancient site of Petra more than the other temples of Egypt because of its position right in front of the steep cliffs, but it’s not actually chiselled directly into the rock. 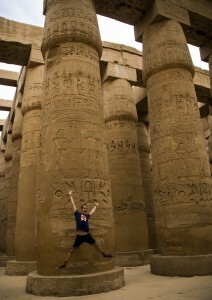 This, the largest temple in Egypt, is a wonderful finale. The central area features 134 gargantuan pillars in 16 rows. As a space it’s completely overwhelming, and despite the crowds you can walk around without seeing a soul. 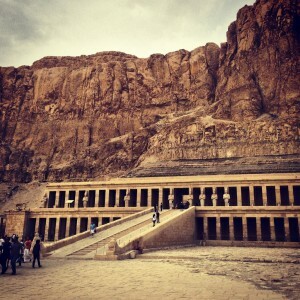 Along with Abu Simbel, Karnak was a definite highlight of our Egyptian temple encounters.